I’ve been delaying posting this till I had that restaurant finished, but I’m short some furniture for that, so it’ll be a while yet before that’s posted (meanwhile I’ve already started on another building. No, not those apartments that I’ve been wanting). From earlier in the month, I’d picked up a set of Spectre Miniatures New Russian Spetsnaz. I wasn’t into their heads, so at the same time I went to Empress and bought their Spetsnaz and a set of ballistic masks. With a black paint job (which I’m not convinced I did right), and suitable rides, they’ve came out as Russian Internal Security Forces , Directorate “A” , otherwise known as “Alpha Group”– who’ll work as opposition to all those Separatists I have and be an excuse for playing games in Chechnya for instance. These guys are set to ride in a trio of Zil Punishers (MRAPs based on a civilian truck chassis), which I’d bought from SASM yonks ago, but not having the men to ride them hadn’t painted. With the Punishers they’re the bog standard menacing black paint job, and lack the “pop out” turrets (as I wasn’t in the mood to find a dremel). Giving one its turret would be easy to do, but they look fair as is. I’d considered adding some men to the roof too. 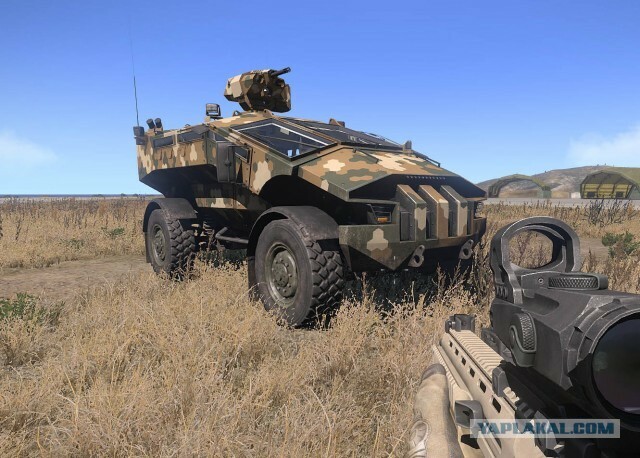 I’m not convinced as I once was on making an ARMA III style Punisher with a military camo scheme and 40mm turret, just as I now have that BTR-82A in the works which would fulfil a similar role, along with there maybe not being a suitable use case for one to be necessary in the first place. …Though one would look cool. Spectre do a set of figures with 12.7mm rifles and pistols as well. I’m not that into their more civilian style outfits (they fit into their low key operator set), though have been pondering sculpting over them to give them more military style gear. Regardless, I have another set of Spetsnaz to paint. That lot are made from SASM’s older figures. I’d painted some of those before (again with Empress head swaps). Going back to the remaining models I’m neither into how their heads look or their guns, and wound up swapping them out for the leftover bits I had from these Spectre figures and some spare Wargames Factory guns (though these are larger than the originals, so don’t match up spectacularly with the grips or magazines). With terrain I’ve managed mostly scatter pieces outside of that one building which isn’t finished yet. This set of building site scatter are from Antenocitis’ Workshop, with the skips by Skytrex Model Railways. Also I found some recycling bins for sale on Facebook (via Shaun Mclaughlin on the Modern Miniature Warfare page). Painted as is, with some casting bubbles, but looking fair enough as terrain. With the new unpainted projects, here’s that BTR-60PB which I mentioned being a bit delayed with as I waited on after-market parts. Some of the etched brass pieces were far too titchy for me to worry about with a model made for wargaming, but overall the set increases the quality of the model to a, well, acceptable level. Some of the details the base kit misses out makes it fairly poor for any purpose and that after-market set entirely necessary. With the resin wheel set, these come out as fairly pricey however, so unless its justified, HLBS’ BTR-70 will likely suit most folks for their modern games. Still, that’s the first of the two which I ordered built. I’m not sure what to do with the second, but can picture one with slat armour and some extra stowage boxes or something. I have an extra set of resin wheels too, and with an actual model to base the dimensions off of I may have a go at something similar to the BTR-4 which I’d made for one of the modernised BTR-60 projects if I have the time. Elsewhere I’ve started sculpting figures for an artillery crew. So far its just the officer in charge of the piece, but I’ve planned out the rest of the squad. A scratch built AK made from carving out a piece of plasticard may replace his Wargames Factory one, as its one of their early prints and a bit thick for my liking (someone had said something similar when I used the same gun on another sculpt). My own one’s better proportioned, but I need to work out how to cast up copies so as not to waste all the effort put into that one rifle. Similarly I’m now out of 28mm scale male armatures (and I buy those in from Green Stuff World, rather than making them myself, but well, the time spent soldering wire and sculpting on muscles could be spent sculpting the actual models…). The remaining six are due for another project, other than the artillery, but we’ll see how that one turns out. …Ah, and I also ran out of green stuff, though that at least means I can order in some ProCreate (I used it once years ago and thought it was a better medium, so now’s the chance to use it again …in no part down to me just forgetting it existed as an alternative). As for that other building which I’d mentioned starting earlier, its coming along here and there. I’m going for a warehouse, with some gantries and a portacabin office in the inside, and adjacent workshop (?) area whose roof is accessible from the inside. Lots of filling to do around the windows, but hopefully this will be quicker to do than the restaurant, till I find an excuse for it not to be… I’m not 100% on what to include as far as scatter in the inside. Whether to leave it open so it can be used for multiple purposes, or stick a truck in there and stacks of goods so it already has some cover. On an speculative note. Whilst trawling through the internet for future projects I somehow found myself looking at Ark Model’s T-14 Armata. When it was initially reported there was a sales tag of a few hundred pounds I believe for the kit. Now its more like £60. Empress are also making a rather nice Armata, so is SASM, but their kit doesn’t look like it has as many pieces. See I was pondering taking either kit, stripping off the parts that aren’t needed, and using one as a base for a T-15 (the IFV variant of the Armata) now that Radio Dish Dash are planning a Bumerang-BM. Then the left over parts could be used to make a T-90MS (Russia’s latest version of the T-90, using Armata technology). Just ideas, I still have three BTR-80 variants to make, and a load of other stuff to finish before doing a “Russia 2025” project (with exoskeletons of course). Additionally, as I discuss future projects, I currently have an Empress Miniatures BMP-1 (the one I showed off as a WIP months ago) being painted. Since then Spectre Miniatures having shown off their own BMP-1. Overall the detail seems a lot better than that existing kit, but that’s to be expected. The turret looks a bit off, and I may have to compare the two once I order one, but that’s not a major concern. Rather I’ve been considering that if I do buy one, to use the kit as a basis for some variants. We’ll see, or I may inevitably end up with a few spare vehicles gathering dust for a while (the BTR-80s are awaiting a part I’ve managed to lose being replaced by Empress). Finally, and this will be something folks have no doubt seen elsewhere by this point, three modern miniatures Kickstarters launched this month. Tiny Terrain Models have also mentioned the intent to make a T-62 and potentially other vehicles (are we seeing someone filling in for the old Red Star Chechen Wars line…). Which ideally I’d like a T-64 for my own purposes, a T-55 style chassis in 1/50th which isn’t Tank Mania (ouch at the pricing) can’t be sniffed at. There’s already a resin kit out there for the same vehicle in 1/48th, so we’ll see how it matches up. Radio Dish Dash have also had their own Kickstarter as a sequel to their Skirmish Sangin rules, this time a more generic “Ultra Modern” setting. I’ve been looking for some rules which would accommodate platoon level games with vehicles for a while, but so far have found that its difficult to play Spectre: Operations at this scale down to all the planning involved. Tiny Terrain Models also have announced they’ll be developing their own Chechen Wars rule set “Mother Russia”, so we’ll see which wins out. I have faith that regardless, this one will be well researched. …Though what had actually grasped by attention was the miniatures coming along with the rules. I’ve already asked if I could swap out the American figures in the “All In” pledge for more Russians with AK-12s. Really I just wanted that Bumerang-BM turret, as I’d mentioned earlier it has potential for a few modern projects. That’s the final stretch goal however, but hopefully if that isn’t reached it goes onto the market for a fair price in future (I just want me some drone tanks is all…). The last Kickstarter which I’m backing this month is the new Militia Miniatures range. I hadn’t backed the first one, nor was their much for me in the second one due to the proliferation of Western equipment which don’t fit well into my Eastern European settings. Well this time around I am looking at two of their sets, the African Militia and Republican guard, with hopes for more models with Aks once the stretch goals unlock. Its the Africans in particular who caught my eye. Whilst a potential future Horn of Africa collection may be going a bit too far, I have considered swapping out the heads and sculpting on cargo pants over their torn up shorts to make a set of shirtless with flak jacket wearing soldiers which seem short on the ground right now. Its maybe an odd thing to want, but some bare armed men would help add a bit less uniformity to my existing militia units. I have other side projects about, but that’s the lot for what’s been substantive. My work schedule currently is a bit awful for finding the time for any of these hobby projects, so I’m falling a bit behind on what I’d like to be doing. More sculpts may be the main thing I have the time to produce currently as that’s something I can do outside of the house, so we’ll see how those progress (and I have six figures which I started over the weekend ongoing, though the progress on those may be down to how quickly I can work out how to cast up that AK I made). Still, this is more stuff which I’ve now managed to clear out of those perpetual areas of may desks now. …Or least I will once I can find the space to put them in my terrain and model collections (ah, I’ll need to order up some more figure cases, my loose model area is now a bit full. And hell I now have vehicles stacked on top of vehicles till I can find the right sized cardboard boxes to hold all these annoyingly large 1/48th scale vehicles. Tsk, my 1/56th scale stuff happily just fit inside the boxes I ordered them in without any breakages…). I really love your scuplts. The paint is great- black is an awkward colour to paint I find. Luckily when I have so much stuff to paint I can move onto something else before getting too hung up about paint jobs. I’m working on six sculpts right now. We’ll see when those’ll be finished. I’m already considering a second set after these.